Classic elements combine to create the refined styling of the Moorewood Park Collection. 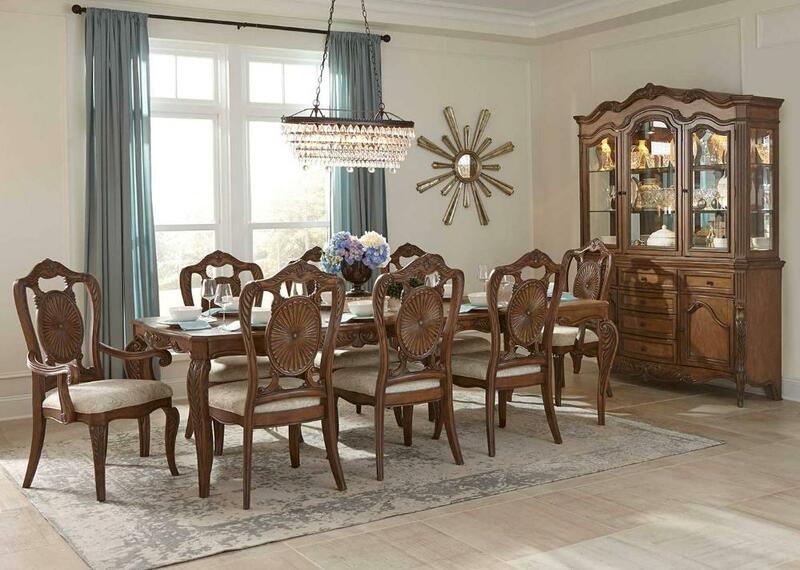 The casual pecan finish over pecan veneers belies the expected vision of stuffy traditional design with the light finish creating a unique statement to the medallion and gracefully scrolled motifs that feature prominently throughout the collection. Two elegant table options allow for perfect placement within your dining room - the first, a 108 inch rectangular top leg table and the second, a round 60 inch fixed top table. Flanking the two table options are the subtly ornate dining chairs with their prominent medallion backs and decorative neutral tone seats. The china features canted curved pilasters and legs that enhance the profile of the collection while button and bale, along with knob, hardware featured in an antiqued bronze finish lend subtle contrast. Behind glass display storage along with the doors and drawers of the supporting buffet provides ample storage space for your tabletop accessories. 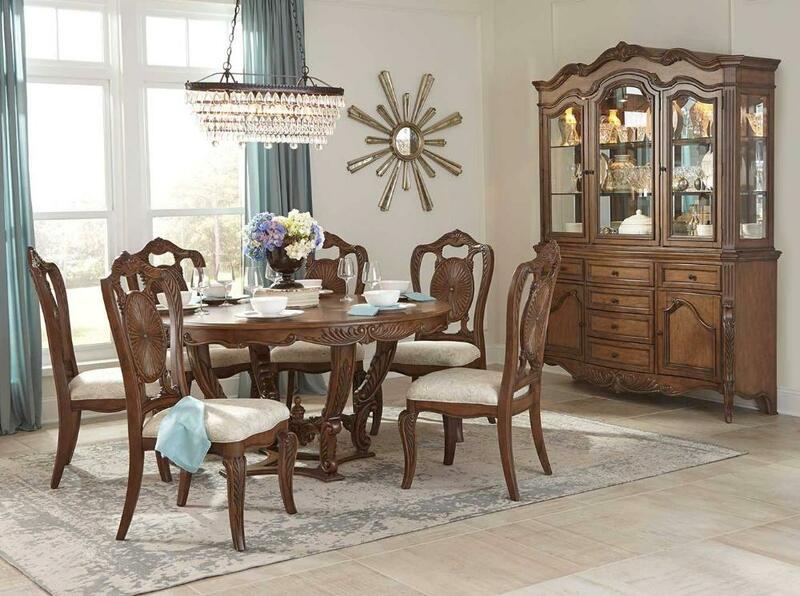 FEATURES: Pecan Finish ~ Traditional Style ~ Medallion / Scrolled Motifs Accents ~ Rectangular / Round Table Options ~ Rectangular Butterfly Leaf Table ~ Neutral Tone Fabric Seat Chairs ~ Antiqued Bronze Finish Knob Hardware ~ Behind Glass Display Storage.